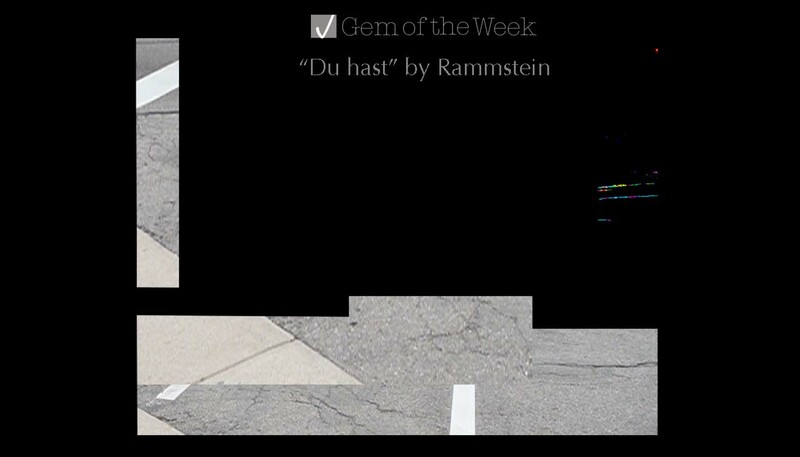 My gem this week goes to “Du hast” by Rammstein as I randomly heard it playing at a sports pub recently. I loved this song when I had first heard it back in the late 90s. Even though the song is in German, I was still drawn to the metal passion in the vocals as it’s delivered so fiercely. I had a burned copy of the Sehnsucht album and I use to play the hell out it. That album explodes with so much metal that you can only bang your head. From what I remember and I tried researching this again but there is an english translation and basically it’s about marriage. The lyrics in the song carry a double meaning of you hate me but at the same time you wish to marry me. The song definitely has a relatable frustration that I feel when I hear it. I still think Rammstein is a great metal band and I was glad that I heard “Du hast” again because they are gem worthy! Below is the link for “Du hast” with an english translation shared from Paul Neeson’s You Tube channel.